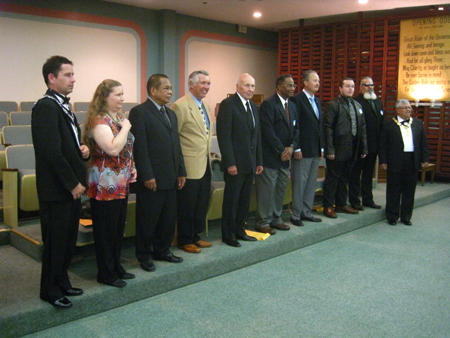 It was a good night as Jim Mongell and Paul sponsored two new members into the Santa Ana Elks. Ed and Roy, who dance on Thursday evenings, both became Elks last night in Santa Ana. Great to have them as new members! 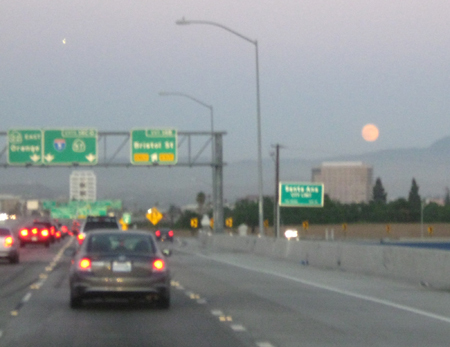 On the way there, the full moon was peeking over the local mountains so I snapped a picture while traveling at 64.9 MPH along the freeway! Zooming right along and whoa... the moon jumps up! This entry was posted in Friends and tagged Elks Lodge, Friends, Special Events. Bookmark the permalink.